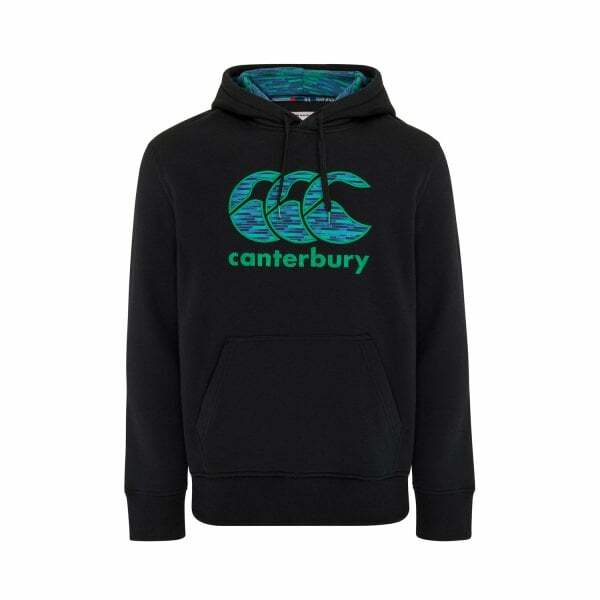 The Uglies design on this hoody shows it comes from a limited edition range, and the Canterbury CCC logo means you can rely on it to keep out the cold for many winters to come. You’ll find yourself wearing this warm, comfortable and highly versatile hoody all the time in the colder weather. It’s designed for everyday use, and the blend of 55% Cotton and 45% Polyester brushed back fleece makes it is as durable as it is warm to wear. The hood with printed liner provides protection against the elements. And along with being a highly functional garment, the large Uglies CCC logo on the front gives this hoody a stylish, artistic quality as well. If you know the Canterbury Uglies story, you’ll know it’s also something of a limited edition item.